Mamy Harisoa Razafiloso Desire was born in Madagascar as one of twelve chidren. His father, a school master, moved his family to several cities. 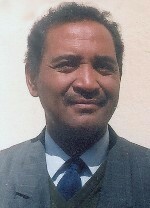 Mamy, as he is affectionately called, took a university degree in Natural Sciences in 1975 and became a high school teacher. In 1981 he was granted a scholarship to study in Portland, Oregon USA, where he graduated with a masters degree in 1985. That same year, he married the lovely Bodo, a school teacher. He then took a position as pastor of a local congregation on the northwest coast of his native Madagascar, where he and Bodo serve to this day with their three teen-age children, while extending his work into other towns of that region. In 1996 they were able to purchase land, and community leaders asked them to start a children's school which was launched in 1998. Called La Source (Water Spring), the school provides a full curriculum of academic and moral instruction to several score local children. 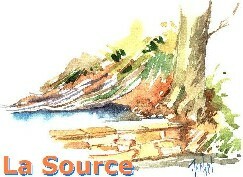 Every year, there are more families wanting to enroll their children, stretching La Source's non-governmental resources.